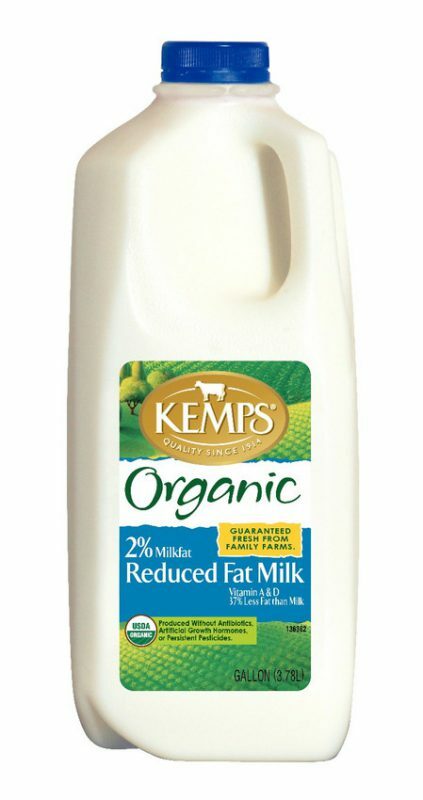 Kemps Select Half & Half is made with care, so it's smooth, creamy, and delicious every time. Our farmers pledge to not use artificial growth hormones. *No significant difference has been shown between milk derived from rBST treated and non-rBST treated cows. NONFAT MILK, MILK*, CORN SYRUP, CONTAINS LESS THAN 1% OF: ARTIFICIAL COLOR**, SUGAR, DIPOTASSIUM PHOSPHATE, SODIUM CITRATE, MONO AND DIGLYCERIDES*, CARRAGEENAN, NATURAL AND ARTIFICIAL FLAVORS, VITAMIN A PALMITATE.